Limited Offer: Book special promotion packages through Klook and enjoy the Family Pass/Combo, only available from 14 Apr to 31 July! Explore the parks themed zones such as Bricktopia, Knight’s Kingdom, Pirate Shores, Miniland, and more! Bring the whole family to enjoy the 40 attractions at the park, including plenty of rides, shows, and interactive experiences. 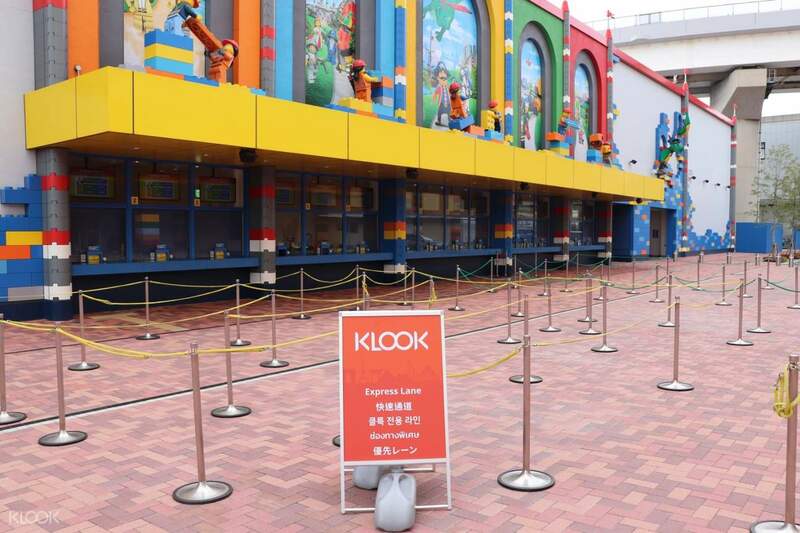 Upon arriving at Legoland® Japan, have no worries when redeeming your ticket – simply go to the Klook exclusive skip-the-line lane and avoid the hassles of queuing! The park’s construction includes over 17 million authentic Lego® pieces and 10,000 Lego® model sets. The kids will love exploring the 7 themed areas including Bricktopia, Lego®City, Pirate Shores, Miniland, and more! Like other Legoland® theme parks, there is an emphasis on learning through playing, so kids can visualize and experience scientific concepts. 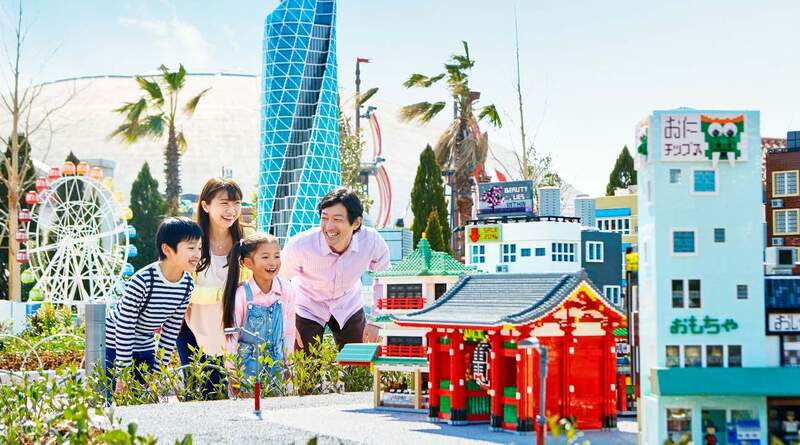 Don’t miss this brand new theme park on your visit to Japan, the kids will never forget the experience! 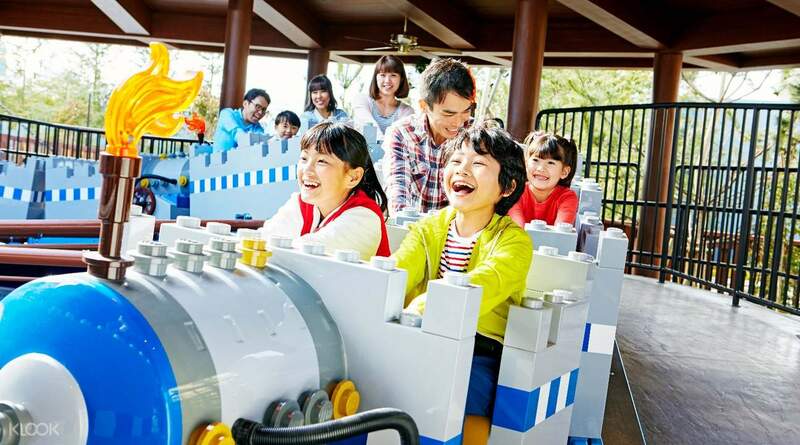 Visit Legoland® Japan and enjoy a day filled with fun, thrill rides, and more! Bring the whole family for a full day of Lego® themed fun, including rides on Lego® themed roller coasters! Explore the 7 different themed areas of the newest Legoland® in the world! 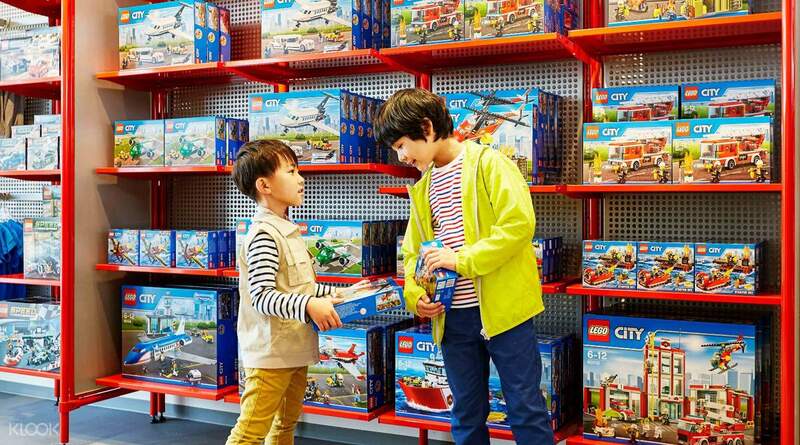 Take home a piece of this creative and educational experience when you purchase Lego® sets! 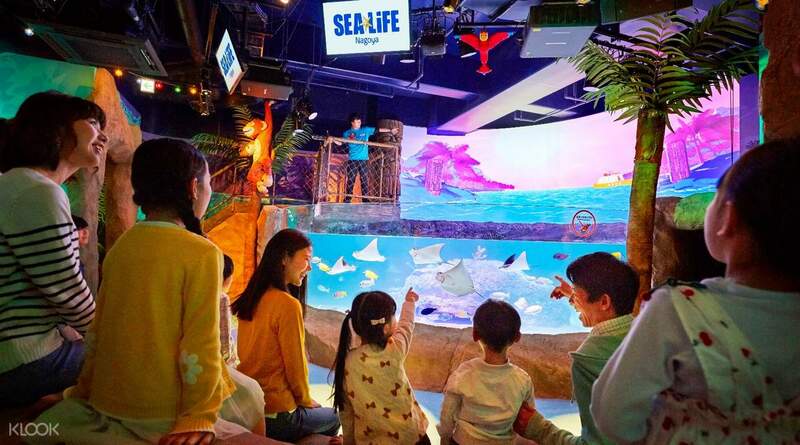 Discover a vibrant world beneath the sea through interactive exhibitions at SEA Life Nagoya! 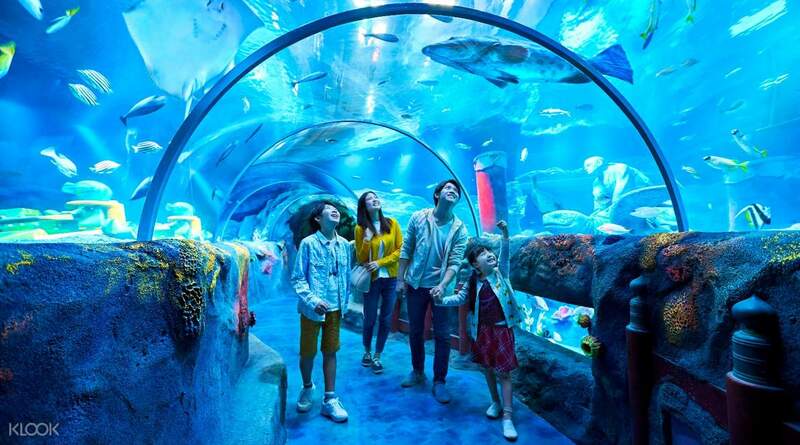 Get more bang for your buck by purchasing combo tickets for Legoland® and SEA Life Nagoya! 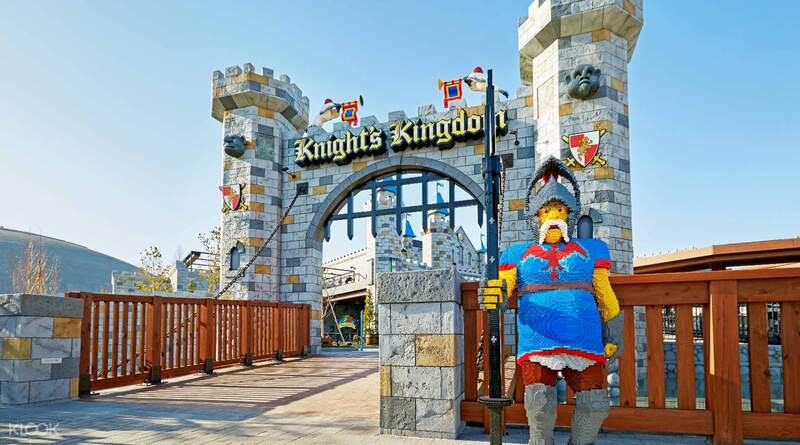 I so love Legoland Japan and booking it with Klook was so worth it. Bought it with a discounted price, compared to the regular price of ¥6999 in Nagoya. Best amusement park for kids and kids at heart. The waiting time ranges from 5-20 minutes only which allows you to explore the entire park in less than a day. We even arrived late in the afternoon but was still able to enjoy almost all the rides and shows. Note: download the LEGOLAND App. This will give you directions to your next chosen ride as well as list of wait times so you can plan ahead. Enjoy! I so love Legoland Japan and booking it with Klook was so worth it. Bought it with a discounted price, compared to the regular price of ¥6999 in Nagoya. Best amusement park for kids and kids at heart. The waiting time ranges from 5-20 minutes only which allows you to explore the entire park in less than a day. We even arrived late in the afternoon but was still able to enjoy almost all the rides and shows. Note: download the LEGOLAND App. This will give you directions to your next chosen ride as well as list of wait times so you can plan ahead. Enjoy! Cheaper than door price. Highly recommend to buy through Klook. There are non-stop direct train from Nagoya JR station to LEGOLAND (walk about 5 mins). If opening hour can be longer than it will be perfect. Cheaper than door price. Highly recommend to buy through Klook. There are non-stop direct train from Nagoya JR station to LEGOLAND (walk about 5 mins). If opening hour can be longer than it will be perfect. I can recommend this deal. Claiming the actual ticket was convenient. You just have to go to the ticket booth of Legoland right across the Legoland Hotel and show the QR code (no need to print). Good ticket combination of Sea Life Nagoya and Legoland. I went with my husband and we finished the two in one day. We started at 10am with Sea Life and ended at 4pm in Legoland. Legoland knows how to manage the crowd. They have this app which is helpful. It shows you the waiting time for each attraction so you can plan ahead and save time. There is also WIFI! 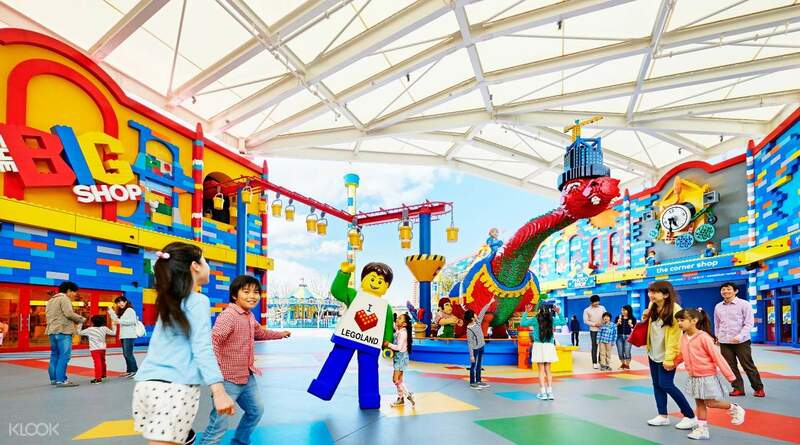 :) Legoland is designed for kids and for them to also bond with their parents. Most of the attractions encourage the participation of both the kids and their parents. However, one concern I had, was that the shows were in Japanese when we went there. Not sure if there's an English show. I can recommend this deal. Claiming the actual ticket was convenient. You just have to go to the ticket booth of Legoland right across the Legoland Hotel and show the QR code (no need to print). Good ticket combination of Sea Life Nagoya and Legoland. I went with my husband and we finished the two in one day. We started at 10am with Sea Life and ended at 4pm in Legoland. Legoland knows how to manage the crowd. They have this app which is helpful. It shows you the waiting time for each attraction so you can plan ahead and save time. There is also WIFI! 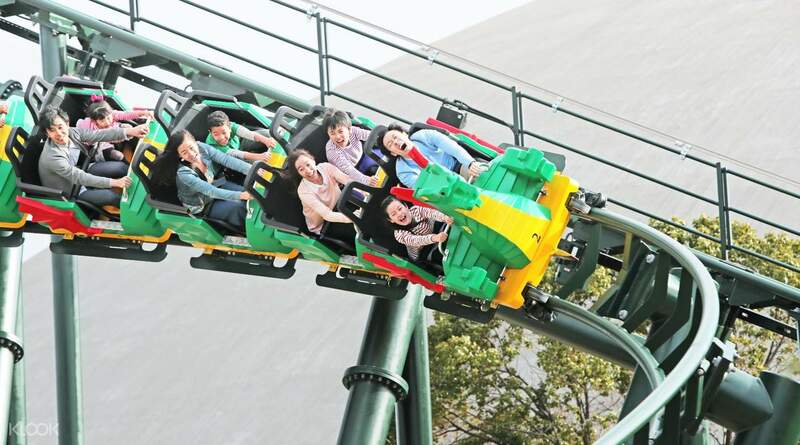 :) Legoland is designed for kids and for them to also bond with their parents. Most of the attractions encourage the participation of both the kids and their parents. However, one concern I had, was that the shows were in Japanese when we went there. Not sure if there's an English show. You need to exchange the ticket from the foreign/ online purchase counter. But no need to worry because There is no line in that counter compared to those who will still need to buy their tickets at the park. Go as early as open time since there are fewer people in the am. So you can have your kids get in the lego factory, watch some shows, and ride all those in the park. It closes early too! You need to exchange the ticket from the foreign/ online purchase counter. But no need to worry because There is no line in that counter compared to those who will still need to buy their tickets at the park. Go as early as open time since there are fewer people in the am. So you can have your kids get in the lego factory, watch some shows, and ride all those in the park. It closes early too! We loved this combo offer! Legoland and sea life ticket! No lines! But a bit hot! All japanese are very accomodating!! Thank you klook for always being our travel companion anywhere! Hope you come up with many nagoya and fukuoka offers in the future! Nagoya offers a too limited :) but thank you! We loved this combo offer! Legoland and sea life ticket! No lines! But a bit hot! All japanese are very accomodating!! Thank you klook for always being our travel companion anywhere! Hope you come up with many nagoya and fukuoka offers in the future! Nagoya offers a too limited :) but thank you! Great place to bring kids. My kid is 6 yrs old and we have been here 3 times in this trip. There are many rides for kids at different ages and heights. I even have to take Shinkansen from Osaka back to Nagoya for this. For sure this Legoland is worth to visit. Great place to bring kids. My kid is 6 yrs old and we have been here 3 times in this trip. There are many rides for kids at different ages and heights. I even have to take Shinkansen from Osaka back to Nagoya for this. For sure this Legoland is worth to visit. It is very convenient for us to order the tickets through Online. And it is also very easy for us to redeem the physical tickets at the service counter of the Legoland. Time saving a lot. It is very convenient for us to order the tickets through Online. And it is also very easy for us to redeem the physical tickets at the service counter of the Legoland. Time saving a lot. The tickets bought via Klook were cheaper compared to door price. Easy exchange to actual tickets just by showing the QR code. We had a great time at Legoland Japan. My son enjoyed the Driving School (where he got his first driver's license) and the Miniland. The tickets bought via Klook were cheaper compared to door price. Easy exchange to actual tickets just by showing the QR code. We had a great time at Legoland Japan. My son enjoyed the Driving School (where he got his first driver's license) and the Miniland.